The Murshidabad police on Wednesday arrested a Bangladeshi national and a Jharkhand resident and recovered fake Indian currency notes with the face value of Rs 8.03 lakh from them. "Raheem Sheikh, who is a resident of Chapai Nawabganj district in Bangladesh and Mijal Sheikh from Jharkhand's Rajmahal city were arrested on Wednesday. 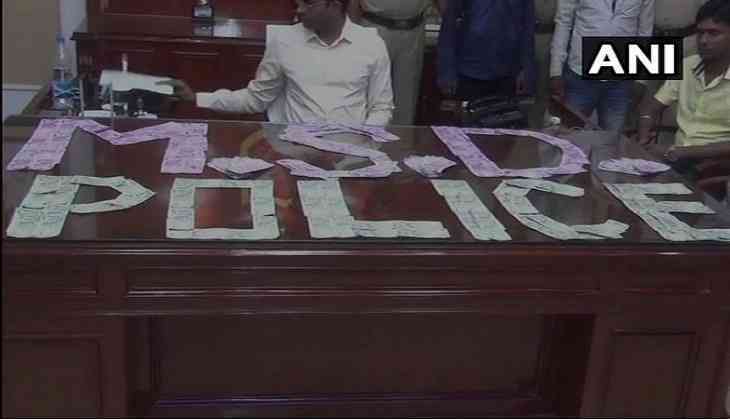 We have recovered fake currently of Rs 8.03 lakh from them - 379 notes of Rs 2000 denomination and 90 notes of Rs 500 denomination," Murshidabad Superintendent of Police Shri Mukesh told ANI. Mukesh added that they are looking forward to have a 10-day remand of both of them.